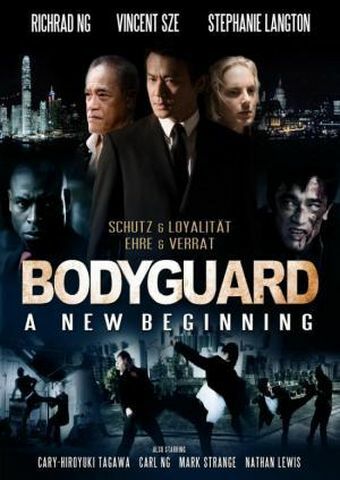 Review: The plot summary there does give you the impression that the story is fixed on our characters Wong and Yuen but a majority of the film is based on our true star – Vincent Sze aka The Bodyguard. In true bodyguard fashion Vincent plays the cold silent type who guards the lady from a far and soon throws himself at her after saving her from a group of thugs. Vincent’s character shows a lot of influence from various Jet Li movies, funnily enough Bodyguard from Beijing isn’t one of them. I was constantly reminded of Jet Li’s characters in films such as Kiss of the Dragon and Hitman. The action sequences are choreographed by former Jackie Chan Stunt Team member; Anthony Caprio. The movie does have great action sequences, the fights in the warehouse are well executed and the fight on the rooftop with Vincent going against Mark Strange and Nathan Lewis is reminiscent of Jackie Chans rooftop fight in Who Am I? The veterans will be a warm welcome to any viewer, it’s always great to see Richard Ng, Cary Hiroyuki Tagawa from Mortal Kombat and of course the late great Shing Fui-On. that not the uk artwork is it? dont worry jim, i dont think it will put people off. Is Richrad any relation to Richard Ng?